A powerful novel about an ambassador's daughter who is kidnapped and the former undercover agent who comes to her aid, saving her life in more ways than one. For DEA Special Agent Marshall Everett, life as he knows it is over once a gunshot wound renders his arm useless. Barred forever from the undercover work he loves, he has nothing―no close friends, no family, no hometown or base, and no desire to settle for life behind a desk. 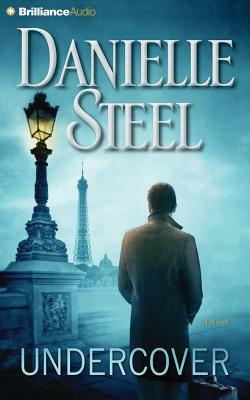 He's called to action in the most unlikely of places when he stumbles upon a beautiful girl burying an old steel box in a Parisian park. Drawn into the mystery, Marshall soon discovers that she is Ariana Gregory, daughter of the U.S. ambassador to Argentina, who is trying to find herself again after being kidnapped and brainwashed by radical revolutionaries. But there are powerful forces at large who will not rest until they secure revenge, and Marshall and Ariana will face yet more trials―and another beginning―before they can truly bury the dark past and embark on a new life together.